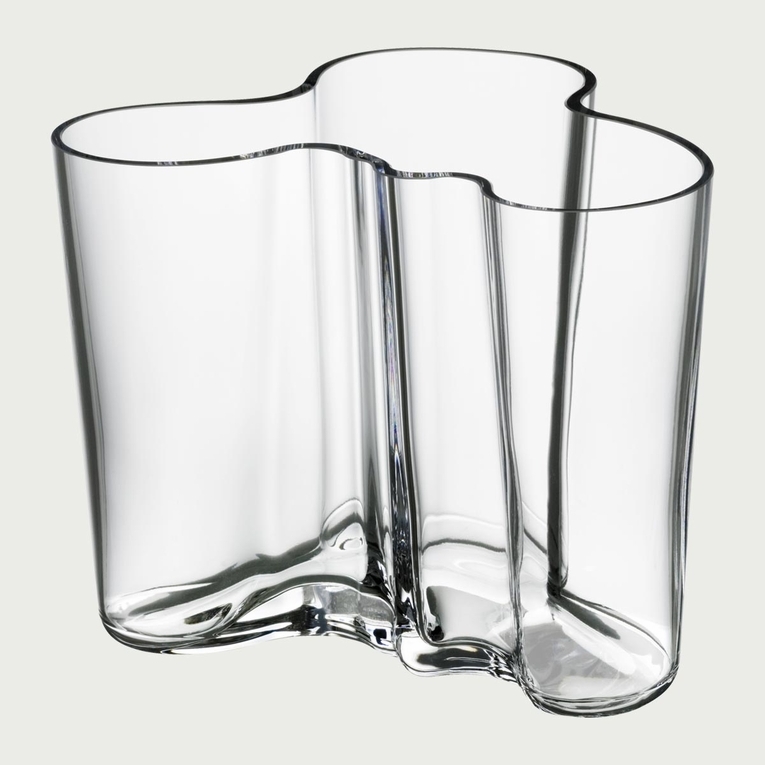 Home > Aalto Vases > Iittala Aalto Clear Vase - 6-1/4"
Alvar Aalto’s Savoy vase is one of the most famous vases in history. Designed in 1936 for a competition at the Paris World’s Fair, Finnish architect and furniture designer Alvar Aalto anonymously entered and won the competition for his vase under the pseudonym "Eskimo woman's leather breeches." Aalto, Finnish for “wave,” created a glass vase with wavy lines and whimsical freeform design that continues to win awards, has residency in famous museums, and is sought-after worldwide. Reviews of Iittala Aalto Clear Vase - 6-1/4"
Questions & Answers for Iittala Aalto Clear Vase - 6-1/4"